1 syringe £359, 2 syringes £560, 3 syringes £734, 4 syringes £908. Most clients only need one or two syringes – and it is often easier to add additional syringes after an interval and, in this circumstance, you would only be charged the difference between e.g. the first and second syringe costs – as if you had 2 syringes on the first occasion i.e. a total of £560 across both visits. If you are familiar with the information and proceed to a same day injection, the consultation fee reduces to £49. Otherwise, the usual £215 consultation fee only applies to the first consultation (for the time discussing your aims, the treatment options, recording your medical history, medical photographs, information sheets and consent form completion). After this has been completed on the first visit, repeat injection treatments usually occur at longer intervals ~12 months and in my experience generally not before 14 months). There is no additional consultation fees for the subsequent visits. Wrinkles from with ageing and the loss of elasticity of the skin causes sagging and deeper folds. A wide range of commercial injectable fillers exist – reputable practitioners would almost always use temporary resorbable fillers which are the subject of this information sheet. 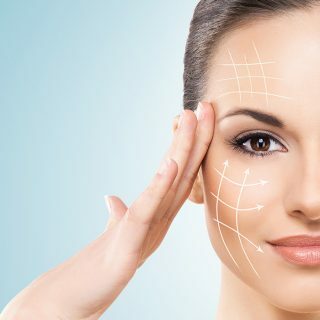 It is important that your treatment is tailored to you by a specialist with knowledge of the wide range of potential solutions for wrinkles / sagging – from botox injections, injectable fillers, chemical peels, laser therapy, facial implants, fat transfer to surgical procedures such as blepharoplasty, brow lifts or face-lifts. You cannot be breast-feeding or pregnant or under the age of 18 when receiving dermal filler treatment. Those with a history of anaphylaxis, multiple severe allergies or a history of allergy to gram-positive bacterial proteins should not have the injections. Clients who take aspirin, clopidogrel, dipyridamole, warfarin and non-steroidal analgesics such as ibuprofen are at increased risk of bruising. Those taking immunosuppressive therapy are at greater risk of infection from any injection and should be considered with caution. Dermal fillers have not been tested on those with a history of excessive scarring – keloid or hypertrophic – or those with pigmentation disorders. There is a rare risk of blindness in one eye from the gel being injected into a blood vessel – (around 1 in 20 000) and so if you have poor sight or blind in one eye already it is particularly important to tell your consultant. 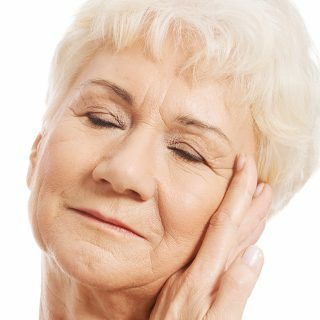 How long does the improvement in dynamic wrinkles last? This kind of treatment is a temporary solution to unwanted dynamic wrinkles because the injections only last about 3 or 4 months. This has the benefit of allowing the first treatment to be as subtle as a client wishes if there is a preference for having a trial treatment first. You will need 3 to 4 treatments per year to maintain best results and it is common for treatments to be offered in packages of 3 over 9-12 month time periods. What must I do/not do after the treatment?